Gindalbie Metals will be purchased by Chinese producer Ansteel in a deal worth around $25 million after demerging its subsidiary Coda Minerals to the shareholders. Gindalbie’s demerger of Coda is intended to allow the subsidiary to benefit from exploration opportunities at the Mt Gunson copper-cobalt project in South Australia without exposure to its parent company’s “significant contingent liabilities”, according to Gindalbie. “As a new and fresh company, Coda will be well positioned to extract maximum value from the highly prospective Mt Gunson copper-cobalt project and other mineral exploration opportunities,” Gindalbie chief executive Chris Stevens said. 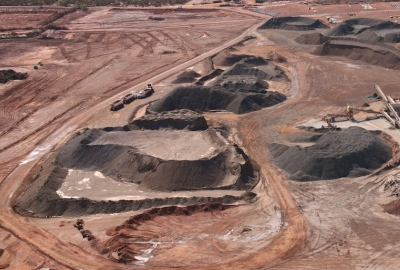 The Karara mine, located 200 kilometres east of Geraldon in Western Australia, was purchased at the height of the iron ore boom in 2007 as a joint venture project between Ansteel (52 per cent) and Gindalbie (48 per cent). The project has a massive reserve of over 2 billion tonnes of ore, but its failure to turn a profit led to Gindalbie declaring a write down in 2014. Ansteel, already a shareholder in the company, will purchase the remaining 64.11 per cent of Gindalbie it doesn’t own for 2.6 cents a share, a 90 per cent premium on Gindalbie’s 30-day volume weighted average price. 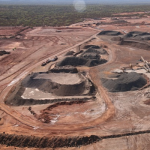 “Gindalbie is proud of the role it played in developing Karara, a significant magnetite iron ore project in the Mid West, and the long-term jobs and benefits it has created for Western Australia,” Gindalbie non-executive chairman Keith Jones said.